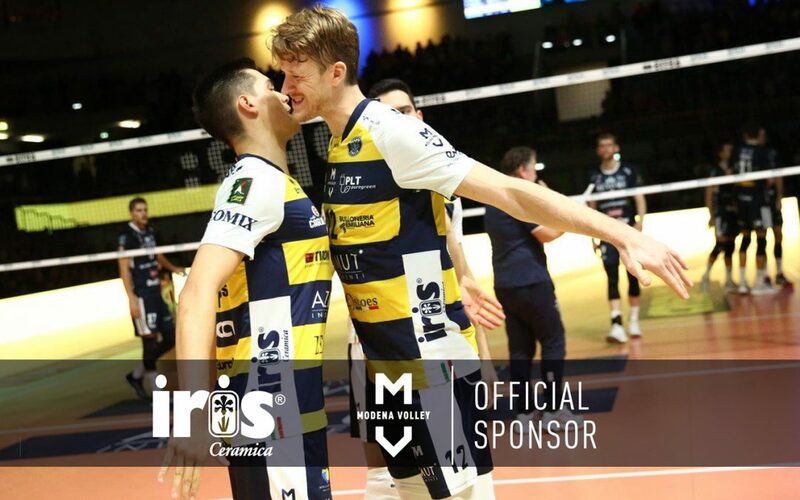 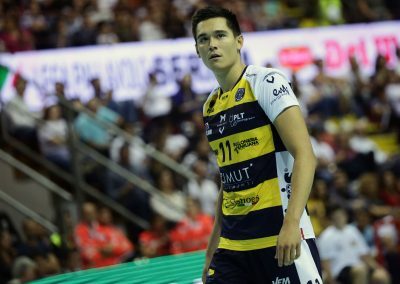 For the second year in a row Iris Ceramica is official sponsor of Modena Volley, a team that has been playing in Italy’s top men’s volleyball league, Serie A1, for many years and now includes two players from the American national team, Micah Christenson and Maxwell Holt. 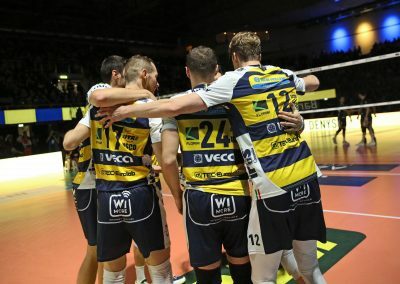 Support for healthy physical activity and the local community are the keys to the renewal of this partnership, strengthening the collaboration between two entities inspired by the values of rigour, ethics and social responsibility in the achievement of results in sports and in enterprise, with a special focus on investment in youth and in research. 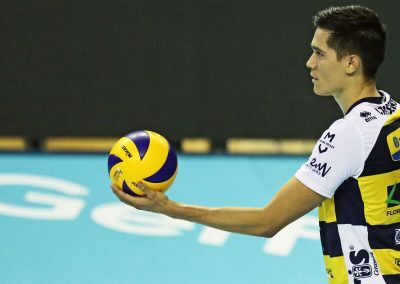 One important aspect of the sponsorship agreement is acquisition of the rights to use the image of the two American athletes, Micah Christenson and Maxwell Holt, who have won a long list of awards as individuals and with team USA. 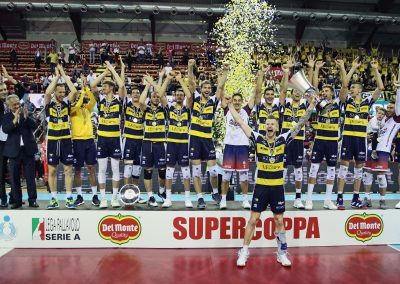 At a press conference about the renewal of the sponsorship agreement held at PalaPanini, attended by Modena Volley President Catia Pedrini and General Director Andrea Sartoretti, Iris Ceramica Group CEO Federica Minozzi and the two American volleyball players, there was plenty of talk about the Modena team’s most recent success, the Supercoppa Italiana, in which the team defeated their historic rivals from Trento. 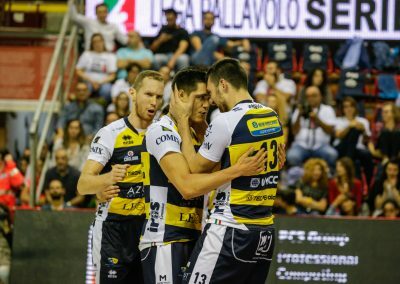 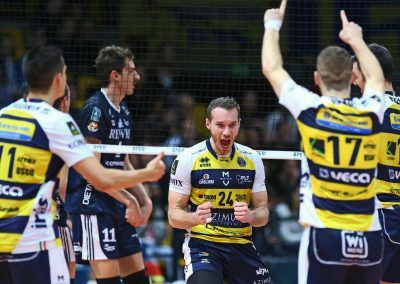 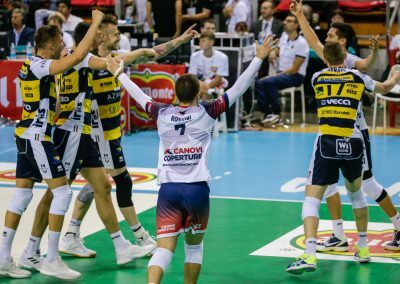 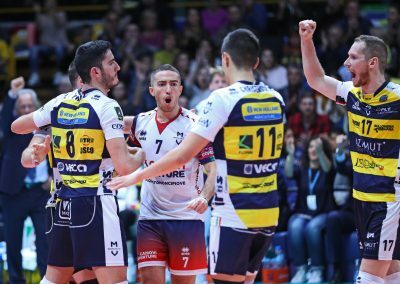 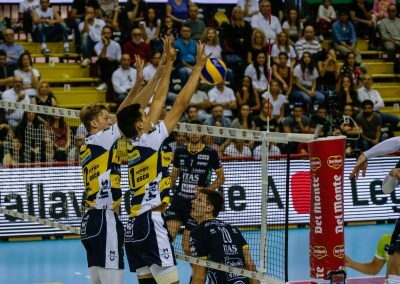 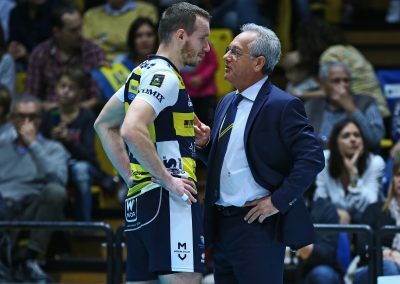 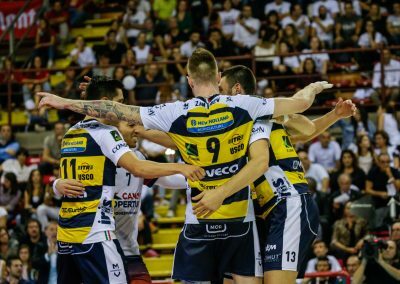 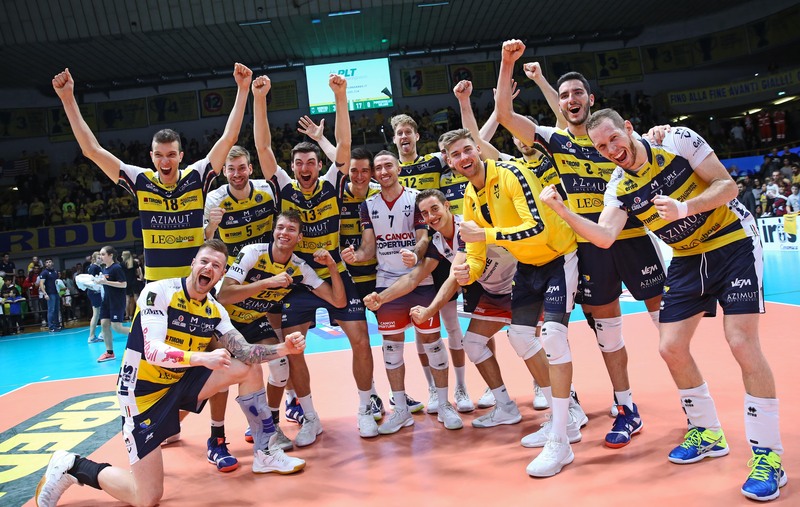 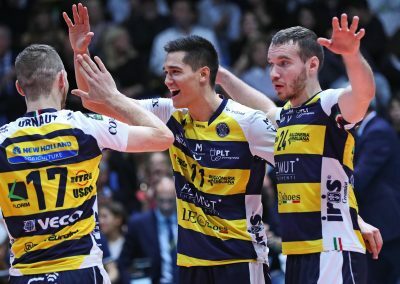 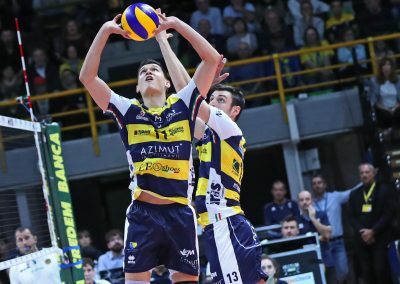 Another addition to the crowded trophy case of Modena Volley, a team with strong local roots that has always led the way in volleyball in Italy and in Europe, accumulating more than 40 trophies, including 12 Italian Championships and 4 Champions’ League titles. 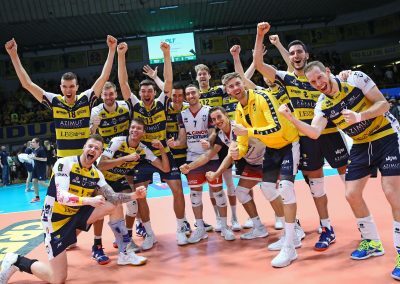 THANK YOU FOR ATTENDING THE COVERINGS’19 AND VISITING IRIS US BOOTH! 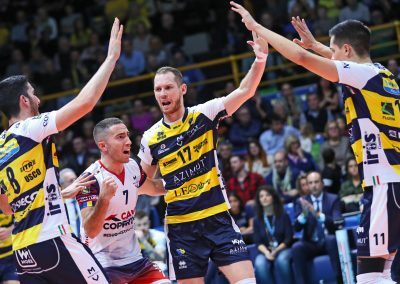 Thank you to everyone who stopped by our booth at Surfaces 2019!